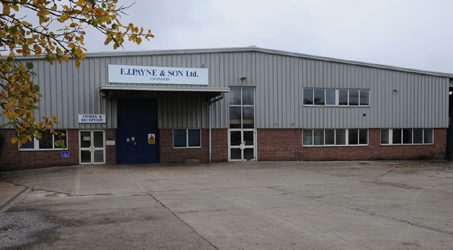 Paynes are based in Eynsham, Oxford have been providing machining services to meet the needs of customers for very nearly 100 years. Originally located in the centre of Oxford when deliveries were made on a shop bicycle or via the country bus, however times have changed and the need arose to investment in a larger purpose 6500 sq ft building during the late1980's. Our machining services include engine remachining of modern, classic and vintage engines as well as commercial and stationary engines. Not only do we provide machining services but this is complemented by a wide range of quality spares. Design and development work is also undertaken for all kinds of engineering projects, we also offer small volume production machining. Centrally located just six miles from Oxford and less than 20 minutes from the motorway network, local attactions include the City of Oxford and the historic colleges or detour via the Cotswolds and take a break in Burford, Stow or Broadway. If time is an issue, call us and we will arrange an overnight carrier service. FJ Payne & Son Ltd ~ Copyright © 2015. All Rights Reserved.